According to the official historian Brigadier-General James Edmonds: ‘In every respect the Expeditionary Force of 1914 was incomparably the best trained, best organized, and best equipped British Army which ever went forth to war’. There has been considerable debate over the extent to which Edmonds’ claim was justified, and to which the British Army had learnt the lessons of recent events (above all, its chastening experiences in South Africa). Conventional wisdom has it that the British Army in 1914 was utterly unprepared for the development of trench warfare from October 1914 onwards, and that it took many lives and a costly ‘learning curve’ for the British to come to terms with the new conditions of warfare. 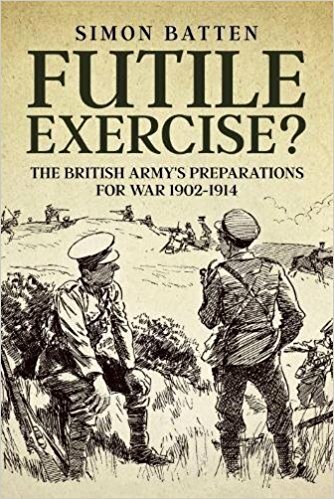 Given that war was expected in the decade before August 1914 - and that a great deal of time and money was spent preparing for that war - it seems obvious to ask why the British Army was not better prepared for the war when it came. This raises important issues about how armies learn from their experiences and how they prepare for the unknowable - namely, a war - without employing bullets and shells. How realistic and useful were the exercises and manoeuvres the British Army used in the period between the end of the Boer War in 1902 and the outbreak of war in August 1914? The approach of most historians has been either to ignore them, or to dismiss them as a waste of time and money. The manoeuvres carried out between 1902 and 1913 featured large forces – sometimes as many as 45,000 men and 12,000 horses – as well as guns, trucks, trains and the first sizeable force of military aircraft ever employed in Britain. Many of the names later familiar from the Western Front were involved – Haig, French, Rawlinson and Allenby – as well as a great many of the troops who would cross to France with the British Expeditionary Force (BEF) in August 1914. Their efforts were witnessed by large crowds, as well as politicians, representatives of foreign armies and journalists (some of them ‘embedded’ with army units); there was comprehensive and opinionated coverage in the newspapers of the time. What lessons were learnt, what value did these manoeuvres have and how do they relate to the events of the war - especially, its opening months? How does the British experience compare with those of the continental armies, who also made extensive use of manoeuvres in this period?